I’ve spent 150 hours playing The Witcher 3: Wild Hunt and I’ve reached a sage-like epiphany as a result: this is the greatest video game ever made. Bold words, given the lengths numerous developers and publishers have gone to over the years to give us their absolute best. But CD Projekt Red has emerged as the winner and undisputed champion of the modern RPG genre, that hulking gladiator that lumbers into an arena filled with champions who all stop what they’re doing to size up this newcomer. CD Projekt Red towers above them all, crushing the competition and showing them how to do work, son. Their first strike (The Witcher) was really good, the second (The Witcher 2: Assassins of Kings) was great. Their third blow is the stuff of legend, the kind of deed that gets chiseled on the placards of the arena to be immortalized for all time. 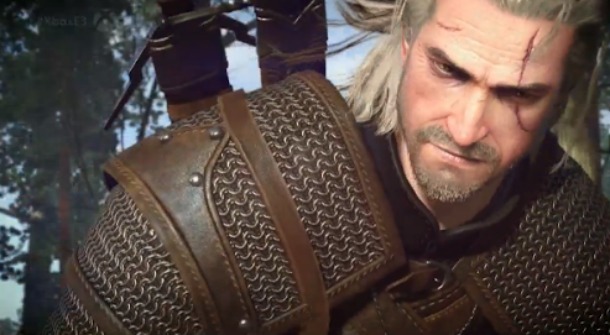 The Witcher 3: Wild Hunt picks up six months after the previous game. Geralt’s still on the trail of his fated lover, Yennefer, and he’s as close to finally catching up with her as he’s ever been. 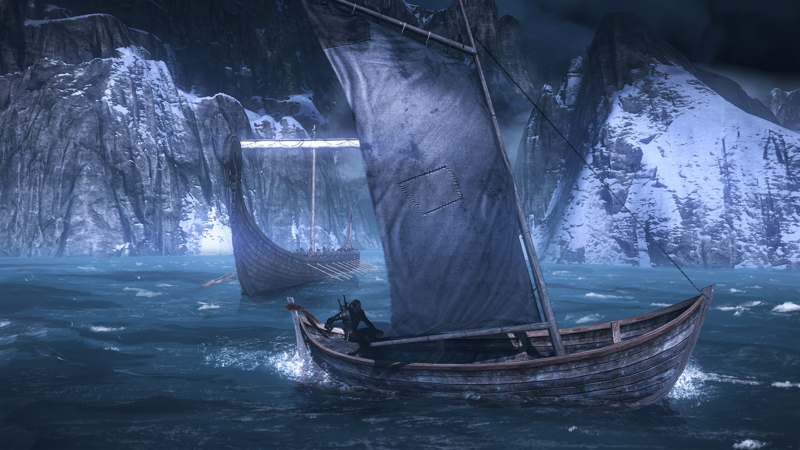 Yennefer’s been on the run from an army of undead warriors cloaked in mysterious icy mists called The Wild Hunt since the first game, and, despite Geralt’s numerous tussles with them (a group he has his own complex history with), he’s never been able to end their menace. In The Witcher 3, Geralt comes to discover that another person he cares for, his former ward, Ciri, is also being chased by the Wild Hunt. At this point, the guy has to be wondering why they want all his women. Geralt’s reaction upon learning he’d have a horse this time. Also, when he was told he’d won the lottery. And, if that’s not enough on Geralt’s plate, Ciri is also the heir to the throne of the Nilfgaardian empire, the same nation currently pressing northward and conquering every kingdom along the way. This war serves as a backdrop of misery and suffering for this tale, and its effects can be seen everywhere you go in the region known as The Northern Kingdoms. The plot is filled with intrigue as it concerns the war, and many factions have formed alliances of convenience while others have been reduced to ragtag groups of resistance fighters clinging to national identities on the brink of extermination. Characters from previous games return, but they’re introduced in such a fashion that you don’t need to have prior knowledge to understand who they are and why they have found themselves woven into the plot of The Witcher 3: Wild Hunt. The storyline is magnificent, filled with vivid characters and cunning plot twists that are matched only by its masterful pacing. Your relationships with these individuals will be defined by the choices you make. Each of these relationships has consequences that affect the narrative later on, and the game does a great job creating tension through a grey moral choice system that usually results in sometimes-unpredictable consequences later on. This absence of right and wrong helps to establish Geralt as a fleshed out individual in control of his own destiny rather than the typical blank slate you see all too often in open-world RPGs. You may not be able to make your own characters in The Witcher 3, but it really doesn’t matter because Geralt would probably be better and more satisfying to play in this world anyway. It’s gripping stuff, and it was difficult for me to put it down most of the time. 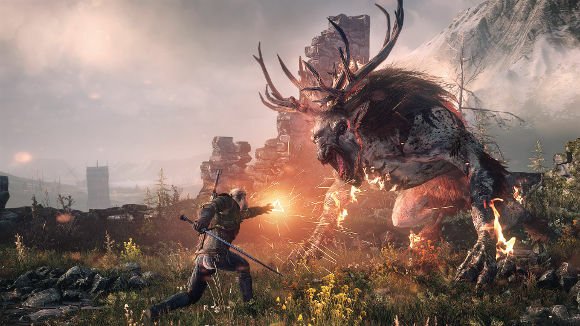 Whatever the video game equivalent of a ‘page turner’ is, The Witcher 3 is it. 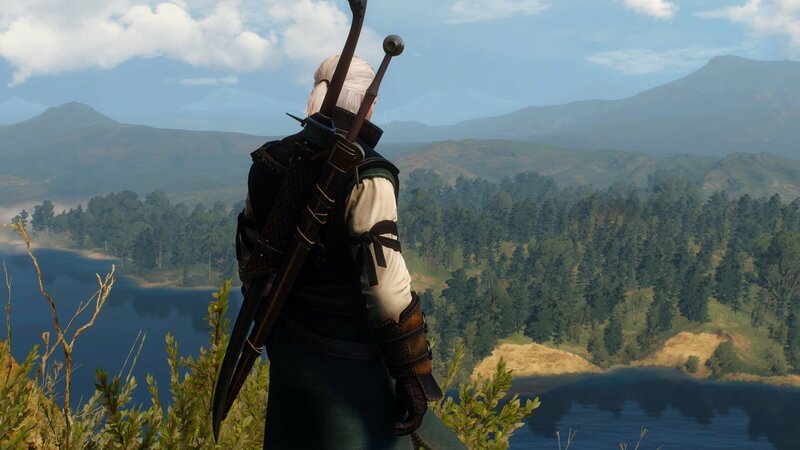 It’s a Witcher’s world out there, and you’re gonna spend a lot of time in it. And this is to say nothing of all the content available beyond the main storyline. There is a veritable ton of questing in this game, and each and every one has a narrative and principle characters that are distinct and memorable. Their stories are so compelling and artfully articulated that you may find yourself hanging on every last word just to soak in the rich culture infused into the game. This invests you in the world and its people and makes you care about the difficult choices you have to make. Even killing monsters that have become cultural touchstones in distant villages felt like an offense because these beasts are a part of the local legends. Every quest in this game teaches you so much about the world, its customs and its people. It’s addicting, and you may find yourself wandering off the path more than once to go pick up this side quest, seal off that monster nest or explore a newly discovered cave. There are several different methods of traversing the world of The Witcher 3, and you’ll want to get familiar with them as quickly as you can. Learning how to use the fast travel points located in villages, towns and at some crossroads is key to navigating this realm efficiently. While the many sweeping vistas, wartorn countrysides, murky bogs and eerie forests are sure to dazzle, you’ll eventually have to move to quest markers quickly just to keep the game’s play length manageable. Trust me, you already have plenty to do in this game, so treat yourself to some fast travel whenever you can. But make sure to stop and take in the scenery now and again, because this world is lush with photorealistic detail. Your trusty horse, Roach, will help you open up the world and discover fast travel points and he can be instantly summoned as long as you’re outdoors and on solid ground. His spawn points are dubious at times, and controlling him is often an exercise in frustration, but, as long as you’re travelling down a dirt road of some kind or over open territory, Roach gets the job done. The horse racing quests are another matter, as precision control is required, and one wrong adjustment sends him galloping off the track and into the horizon. Lastly, horseback combat is possible and devastating when you land a blow, but the controls are difficult to manipulate, and Roach can throw you if his ‘Fear Meter’ fills up by being threatened too often. Thankfully, this can be mitigated by equipping him with blinders, but it’s still not an ideal fighting mode even with such augmentations. 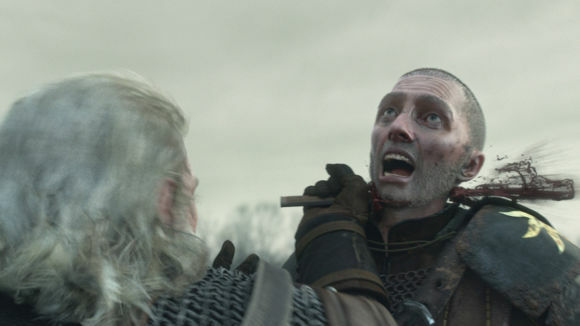 Roach decided Geralt needed to visit Novigrad even though he was trying to get to back to Kaer Morhen in time for Father’s Day. There are similar hangups with the sailing aspect of travel, which feels somewhat tacked on. It’s not difficult to control, but, most of the time, you’ll only hop in a boat when you’re in a completist mood and not because the game requires or incorporates it in an organic fashion. Sure, you’re in the part of the world where naval warfare is the order of the day and this lore has already been established in the series, so it would seem strange to not include it since, well, you’re there. Still, with as much effort as CD Projekt Red has put into this game, you wonder why this part is so lackluster. 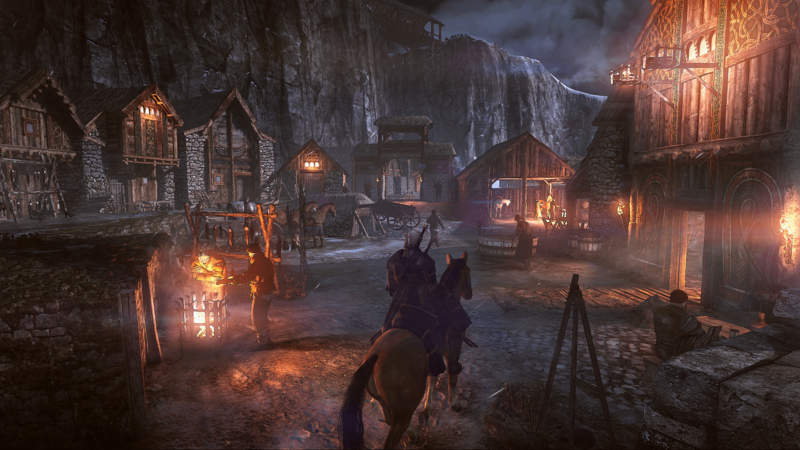 The landscape is sprinkled with locations to explore, quests to undertake and enemies to face. It’s not uncommon to come across an abandoned settlement or a wrecked wagon on the side of the road, a half-eaten horse corpse or dead bodies strewn about at the site of a recent battle. You’ll find yourself in villages where the residents ply their trades by day and drink and carouse by night. At other times, you could be cantering along a main road and find yourself suddenly beset upon by roadside bandits or monsters looking for their next meal. On occasion, you’ll stroll into an abandoned settlement where thugs or deserters are hoarding their treasure and they’re more than happy to make you their next victim. Clearing these places of threats sometimes results in peasants moving back in to restore the area and return to the lives they once had. The game does a great job establishing a world teetering on the brink of anarchy because of the causal nature of war and conquest. He won’t get seasick, but he WILL get sick of the sea. There are so many different types of people you will meet in your travels, and not all of them are human beings. Elves, dwarves, halflings and dopplers (changelings that can assume the form and abilities of anyone they mimic) are all a part of society, as well, and take up the various trades as readily as humans do for the most part. The world of The Witcher 3: Wild Hunt is generally hostile to anyone or anything that doesn’t fit into humanity’s established order of greed, ambition and opportunism. They fear and mistrust anything that is different from them. The other races seem content to just exist and be allowed to make their way in the world without trouble, but there is a radical faction of elves that still live in the woods and strike hard and fast against human society in retaliation for the many infractions against their kind. And let’s not forget about the sorcerers and sorceresses, who are also looked upon with disdain because they’ve all too often used their powers for ambition and gain at the expense of their mundane counterparts. Even Witchers aren’t immune to the prejudices of the world because of their serpentine eyes, bloody trade and dearth of emotions. But, since they kill monsters for coin, people know they can be bought. It’s a true melting pot of factions and races, and, while it’s not as hopeful or optimistic as some would like it to be, The Witcher series has always been an honest look at the dark nature of mankind, and CD Projekt Red does their best work in this respect here. It’s brutal and unrelenting, but it feels true and forthright; CD Projekt Red didn’t concern themselves with soothing the feelings of the easily offended. They wanted to tell a specific story and they take no prisoners in doing so. They should be applauded for their artistic integrity. Trust me, he had it coming. 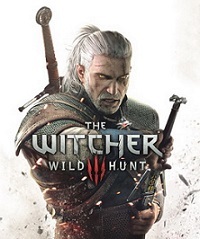 As a Witcher, you’ll spend a fair amount of time fighting monsters and, to this end, you have your two swords (steel for regular foes, silver for supernatural), a limited set of magical spells with different effects, the ability to brew and imbibe potions, treat your sword with the right kind of oil based on the threat you’re facing and craft bombs with a varying degree of effects. You also get a crossbow, which is useful for grounding aerial targets. You have light and heavy slashes, as well as the ability to parry attacks or dodge out of the way. Against humanoid enemies, you can counterstrike if you time your parry perfectly. But they can do this to you, as well, so you’ll probably be relying on your dodges, different types of grenades and magic to keep some foes at bay while you pick them off one at a time. Adrenaline blocks can be built up that help with damage during a battle, as well, and can be further enhanced through the leveling and skill systems. It’s a good combat engine, but is not spam friendly and requires you to understand how the game’s various attacks work. This is not Batman: Arkham Asylum or Shadow of Mordor where you instantly strike the next enemy no matter where they are. You have to know how far your sword swings will take you, recognize enemy attack patterns to properly dodge and parry and get comfortable with the time required to cast spells, throw grenades and shoot your crossbow. Preparing for an encounter before it happens (when the game offers you the luxury) is recommended not only to make the fight more manageable but because the detailed Bestiary entries on each creature are so entertaining to read. However, despite having to ply your monster-killing trade in a world that’s downright inhospitable most of the time, the gods will occasionally smile on you as some battlegrounds will have natural gas fissures or power kegs just waiting to be blown up. Just don’t stand too close to them when they go. If there’s a knock on the grenade and potion systems, it’s that you can only have two of each equipped at a time. You can change them by going into the menu, but pausing while you’re Witchinatin’ kills the pacing as you have to search for the right item in an oftentimes crowded inventory. There is a radial menu, but it’s only for changing spells and selecting already equipped items. CD Projekt Red should have just included every potion and every grenade type on the radial somehow. Geralt realized asking the Fiend to replace Roach as his steed was not the best idea. More Witching on Page Two!